14. 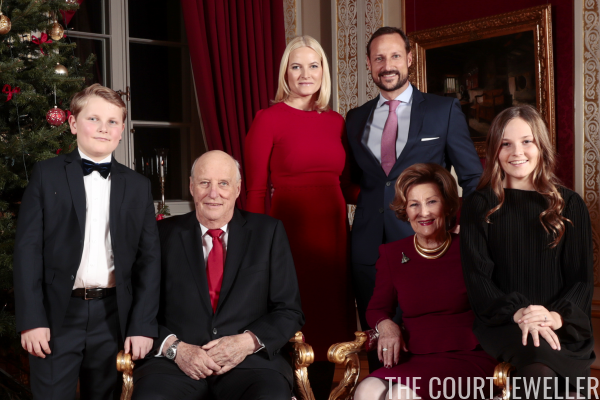 A golden necklace and a Christmas tree pin were Queen Sonja of Norway's jewelry choices for Wednesday's Christmas photo session at the palace in Oslo. 13. 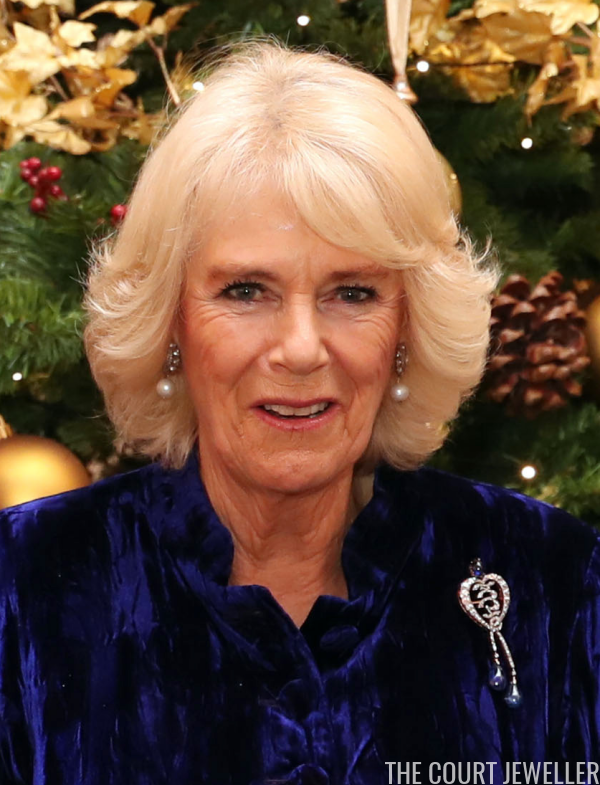 Infanta Margarita (an aunt of King Felipe VI of Spain) wore pearls and a lovely floral brooch for the Padre Arrupe Foundation Christmas charity concert on Tuesday in Madrid. 12. 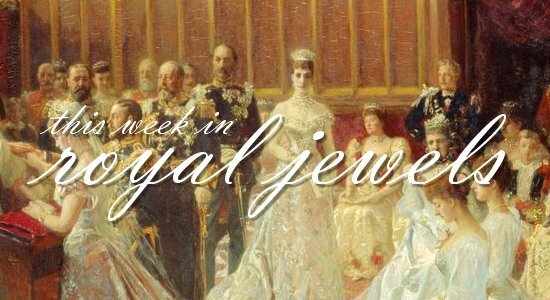 Queen Maxima of the Netherlands wore sparkling stud earrings and a coordinating necklace for dinner with the Secretary-General of the United Nations in The Hague on Thursday. 11. 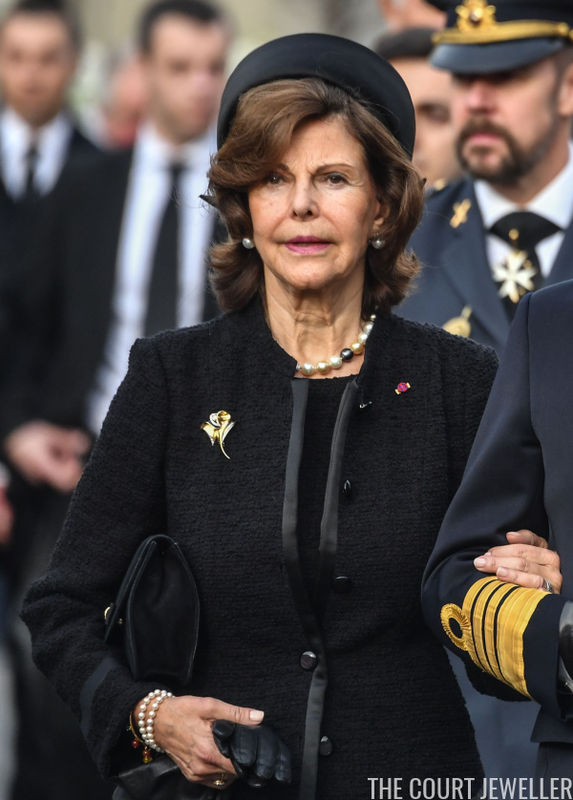 In Bucharest, Queen Silvia of Sweden wore multicolored pearls and a golden brooch to mourn the late King Michael of Romania on Saturday. 10. 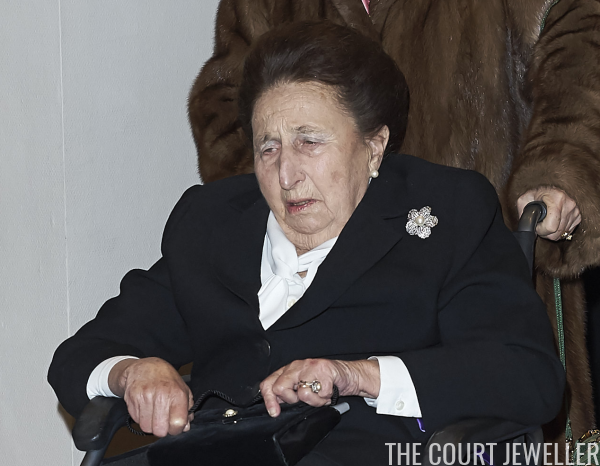 Queen Sofia of Spain, who was King Michael's first cousin, wore multicolored pearls and stacks of gold rings as she celebrated the late monarch's life in Romania on Saturday. 9. 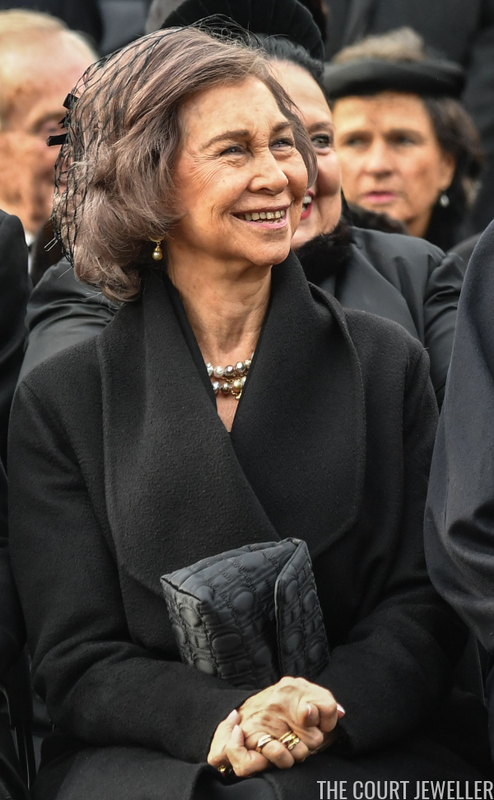 Sofia wore pearls, golden earrings, and an interesting brooch on Friday at the former royal palace in Bucharest (now the National Arts Museum), where King Michael's body lay in state. 8. 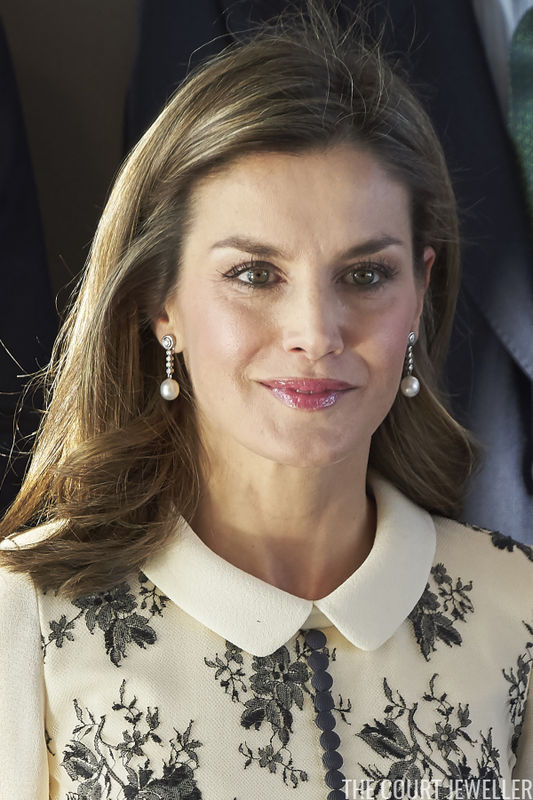 Queen Letizia of Spain wore her bezel-set diamond and Australian pearl drop earrings on Monday for the Accion Magistral Awards in Madrid. 7. 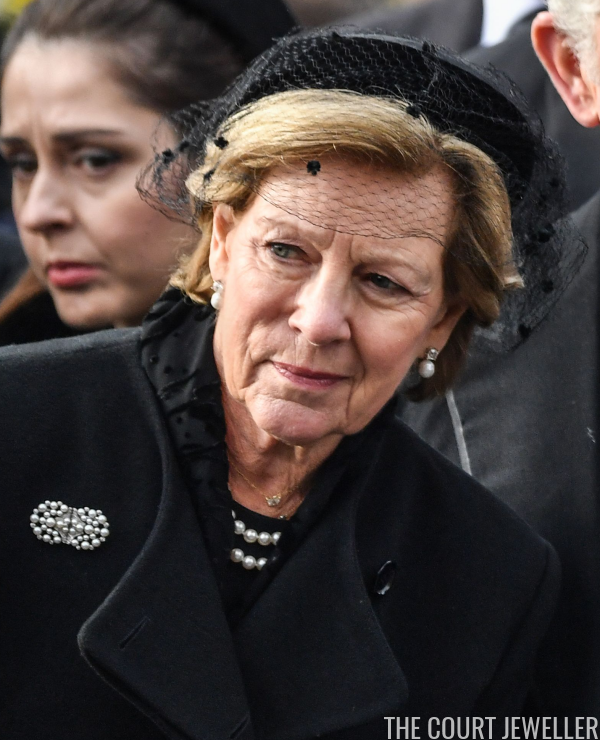 At King Michael's state funeral in Romania on Saturday, Queen Anne-Marie of Greece wore diamond and pearl earrings, layered necklaces, and an interesting pearl clip brooch. 6. 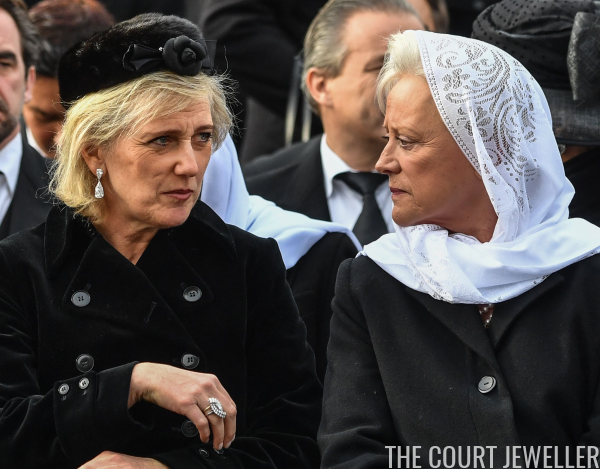 Also attending the funeral: Princess Astrid of Belgium, who wore glittering earrings and a sparkling ring, and Princess Muna of Jordan (mother of the present king) who wore pearls. 5. 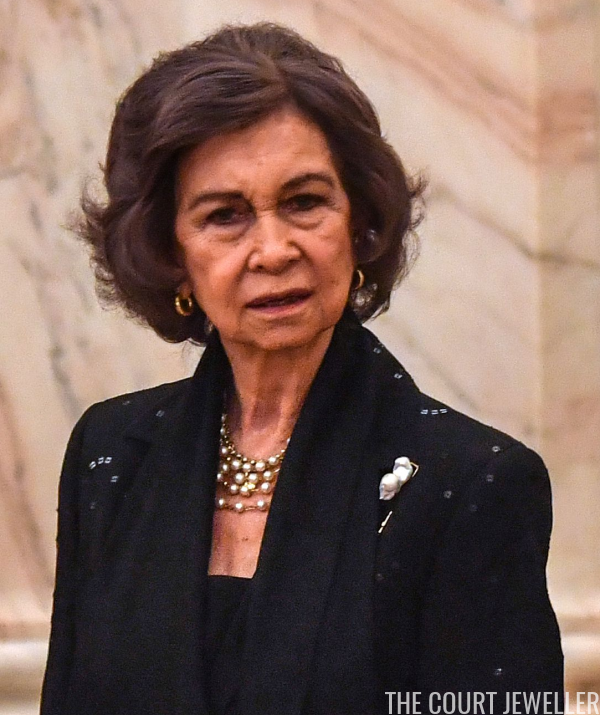 Princess Firyal, the former wife of Prince Muhammad bin Talal of Jordan, sparkled in major earrings at the Berggruen Prize Gala at the New York Public Library on Friday; not sure whether the sparkle on her dress is a brooch or an embellishment, but I'm enjoying it either way. 4. 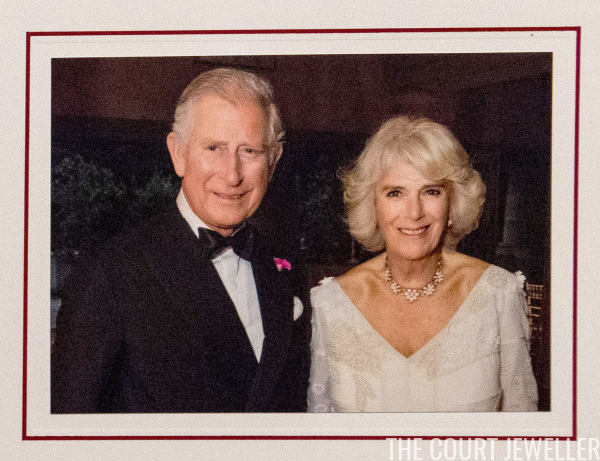 In the Wales/Cornwall Christmas card this year, the Duchess of Cornwall wears her diamond floral suite; the photograph was taken at her private 70th birthday dinner, held at Highgrove in July. 3. 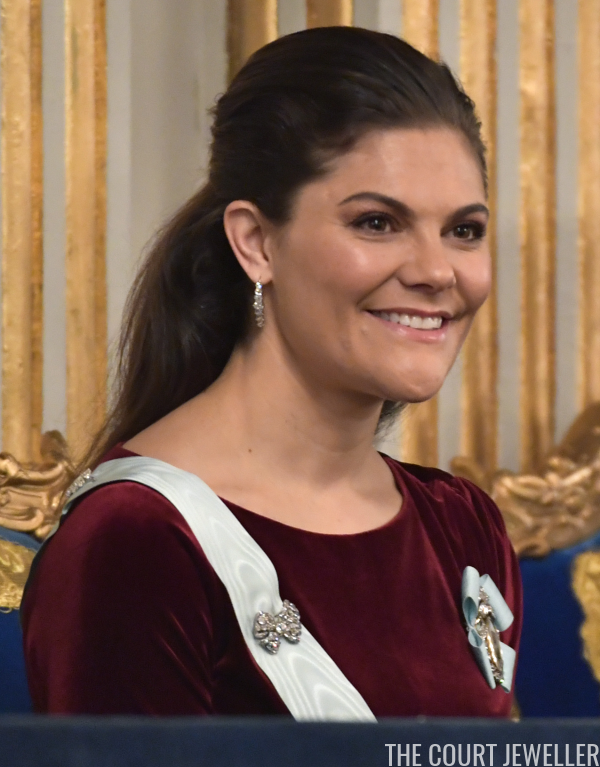 On Wednesday, Crown Princess Victoria of Sweden wore the slim diamond earrings from the Brazilian Parure and one of the family's diamond bow brooches for the annual meeting of the Swedish Academy in Stockholm. 2. 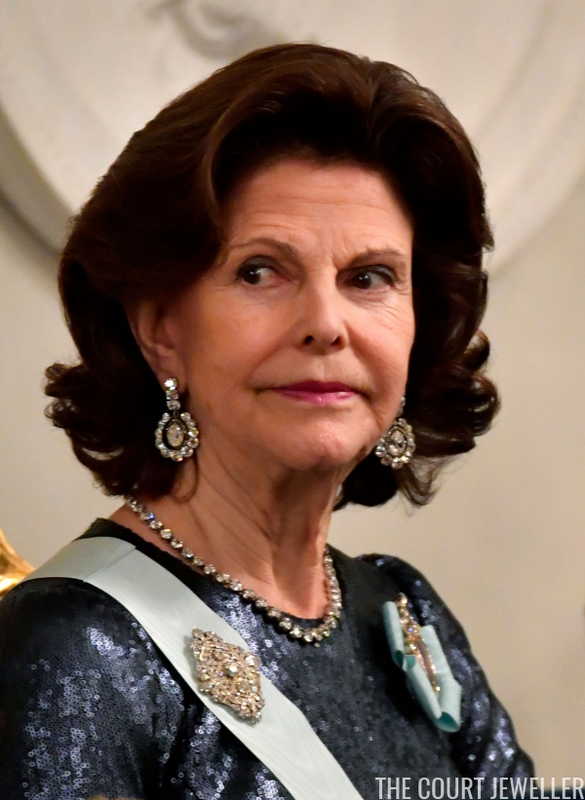 For the Swedish academy meeting, Queen Silvia chose heirloom Bernadotte diamonds, including the Karl Johan earrings and one of the family's lovely diamond brooches. ...but wait, there's more! 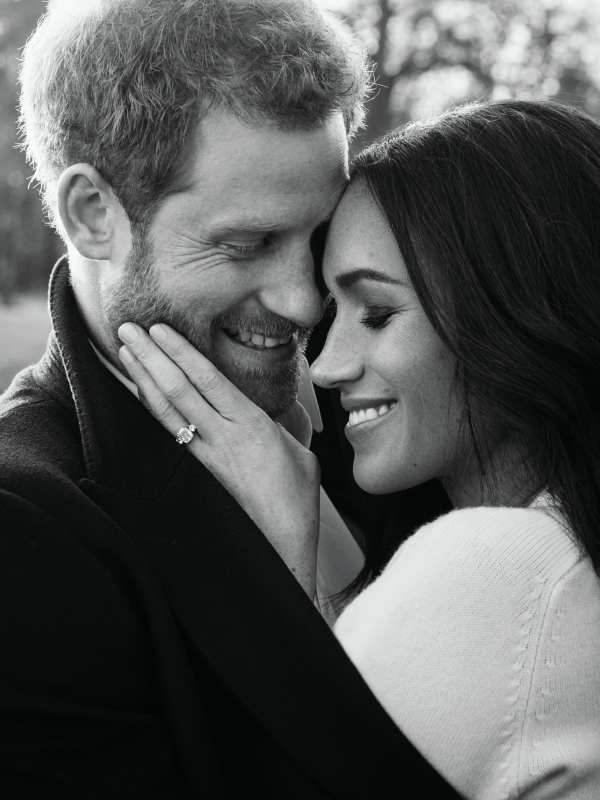 Our bonus jewel of the week: another great view of Meghan Markle's engagement ring, courtesy of the romantic engagement pictures released by Kensington Palace on Thursday. Love it!